Connecticut’s State Dental Commission is responsible for assisting in issuing dental regulations. 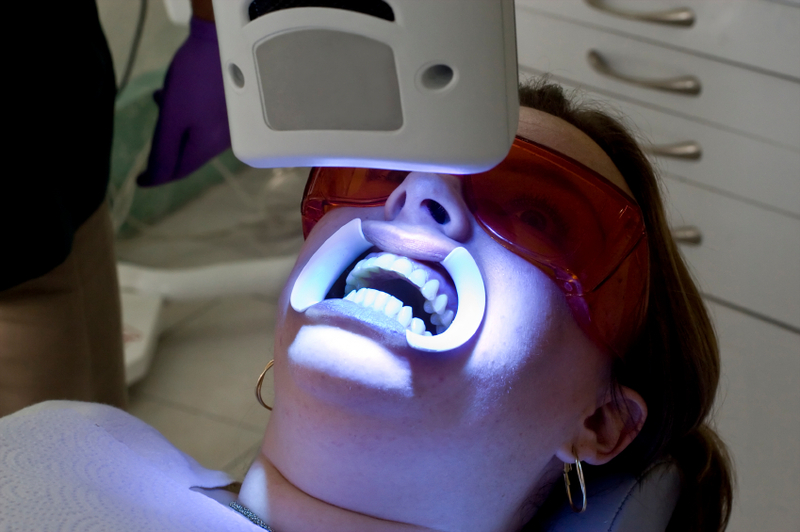 As part of this responsibility, on June 8 ,2011, they issued a declaratory ruling that only licensed dentists could provide teeth-whitening services using LED lights. A month later, Sensational Smiles, a company that uses LED lights in their teeth whitening services, was sent a letter telling them to voluntarily cease their practice. That unlicensed teeth-whitening services were provided before the Commission’s ruling shows that there was no really danger they needed to protect the public from. The ruling was more about economic protectionism, than it was about protecting the public from harm. And as the court would rule, this reasoning for the limitation would be perfectly alright. Sensational Smiles sued on the basis of Fourteenth Amendment Due Process and Equal Protection violations. To determine whether a violation of the Constitution occurred, the court used a rational basis test. The court used rational basis because they found that no protected class or fundamental right was violated by the declaratory ruling. By ruling that performing helpful services for a fee is not a fundamental right, the court essentially ruled that the American dream is no longer a fundamental right. Part of the American dream is the ability to do what you love, while earning a living doing it. The court essentially ruled that this American tenet is no longer available to those that compete in a market where a license is required. The relationship between the licensure requirement and the prevention of harm to consumers is very weak. The licensed dentists do not need to be trained in the use of LED lights in order to use them in whitening teeth. In fact, no knowledge of the LED light system is necessary to acquire a dentist licensure. Further, after consulting a whitening professional, consumers can shine the LED light in their own mouth, but the trained professionals are prohibited from positioning the light themselves. These facts show that consumer protection was not the main thrust of the rule, rather it was pure economic favoritism. In its opinion, the court actually said that economic favoritism is okay, so long as it does not violate a specific constitutional provision or federal statute. The court joined the Tenth Circuit in concluding that economic favoritism is a rationale for state action under the Fourteenth Amendment; the Fifth, Sixth and Ninth Circuits have all reached the opposite conclusion. This decision comes at a time when the White House released their report on occupational licensing. In the report, the White House came to terms with the fact that licensing requirements reduce employment opportunities and raise prices for consumers. Those on the right have long had issue with occupational licensing requirements, the left seems to now be questioning these requirements as well. It is time for the courts to say no to economic favoritism as well, and support the American dream.